Data, machine learning, and artificial intelligence are disrupting everything we know, in ways that most of us don’t understand — yet. To help you keep up, we’ve launched a new series, Degreed Does Data. We’ll dive deep into these topics, simplify their complexities, explain their potential impact, and break down the dramatic ways they’ll change the industry. Today, we’re handling a hot one: machine learning. Information — on just about everything — has never been more available. It’s what makes machine learning so valuable and necessary. So what is it? Why do companies need to start paying attention to it? And how can these same companies leverage its capabilities? 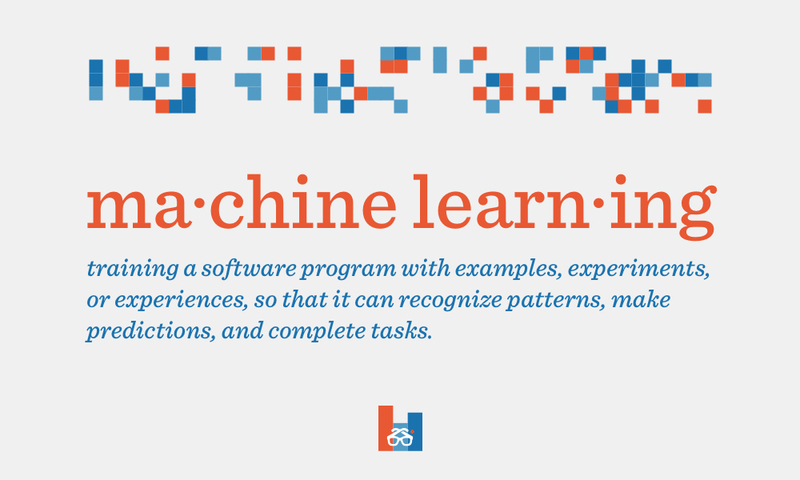 Definition: training a software program with examples, experiments, or experiences, so that it can recognize patterns, make predictions, and complete tasks. Now that computers can handle and process such huge amounts of information, machine learning allows us to connect the dots in ways that we never could. We can drive down thousands of streets with computer vision, while our cars see the entire road at all times. By the same token, our phones can understand anything from Albanian to Zulu after analyzing billions of soundbites using natural language processing. What’s most exciting is that machine learning is still in its infancy — despite being this century’s most important breakthrough in artificial intelligence. Its capabilities and the doors it can open will only continue to grow — and not in the robots-are-taking-over kind of way. This begs the question, how do companies adapt to keep up with machine learning? Maybe they hire software engineers to replace their truck drivers with autonomous vehicles. Or re-train their international sales team with language learning apps tailored to each person’s strengths and weaknesses. Additionally, companies can leverage machine learning algorithms to boost efficiency and streamline processes for everything from research and development to sales to marketing. Of course, the smartest approach is comprehensive, especially in the L&D world. By applying all the necessary elements of machine learning, company learning can vastly improve, leading to more informed, data-driven decisions. In a nutshell, L&D needs software that helps the right people learn the right things at the right time. Machine learning can also predict what skills will be in demand. From there, it can suggest what workers should learn and identify which resources are most effective. 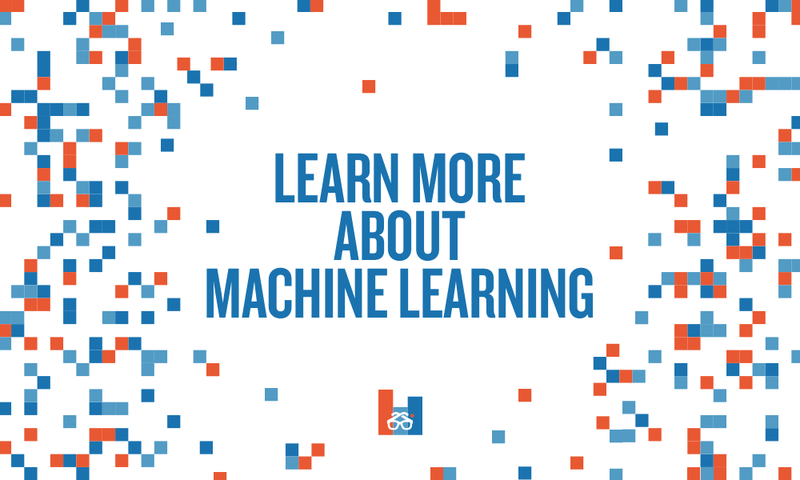 One of machine learning’s greatest attributes is automatically offering relevant mini-lessons to help employees with any tasks or goals they’re working on, ensuring they’re continuously ahead of the curve. We see this with IBM Watson Career Coach, which fosters employee engagement and guides careers. By using Career Coach, IBM employees can get their skill-sets analyzed, as well as receiving career recommendations and relevant upskilling suggestions. What exactly can this system do with machine learning? 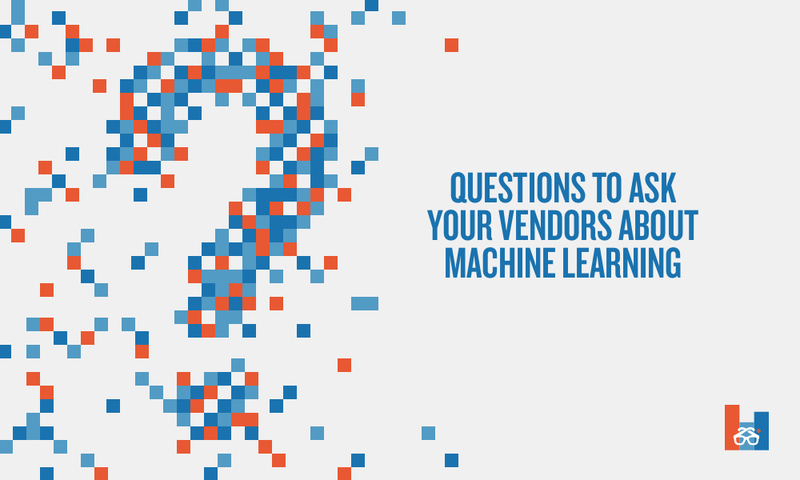 Some vendors are trying to hide behind the hype of machine learning. Their software is not evolving and only lists “recommended” content. That’s fine if you’re mindlessly binging TV shows — we’re finally all caught up on Game of Thrones — but it’s not enough in the learning context. 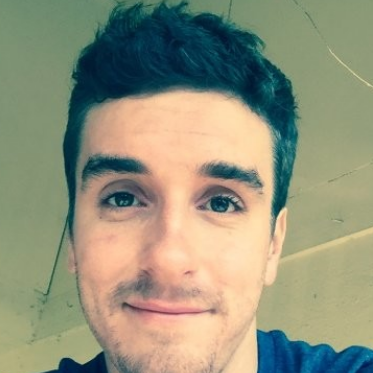 True machine learning gives you a platform that understands its unique users, strengthens its own weaknesses, and adapts to trends that it discovers. There’s no need to settle for recommendations. How has machine learning already changed your work? Yes, machine learning is the future, but it’s also the present. The most agile competitors are already applying these technologies in every industry. Even DIY tinkerers have figured out new uses for machine learning. What your organization needs are tools that keep everyone ahead of the latest learning trends. This ensures your vendor understands how your industry is changing and can explain how they’ll help you adapt. Which types of machine learning does your software use? You should know two main approaches: supervised learning means the program trains with data that humans already sorted out, following directions until it sees the pattern for itself. Unsupervised learning takes off the training wheels, so the system runs through unclassified data while finding connections and creating its own categories. How much data is required for machine learning to be useful? People usually underestimate how much data they need. In the case of machine learning, more is always better. Even 100,000 records are hardly enough. The machine can only predict based on the data it has. To catch fraud, banks must track data on each transaction — location, currency, credit history, and more. Similarly, learning systems can only predict relevant content if they’re tracking the right user data — interests, social network accounts, or learning history. Once you have millions of these examples to train your system, it becomes clear what success looks like and your algorithm will reach its potential. 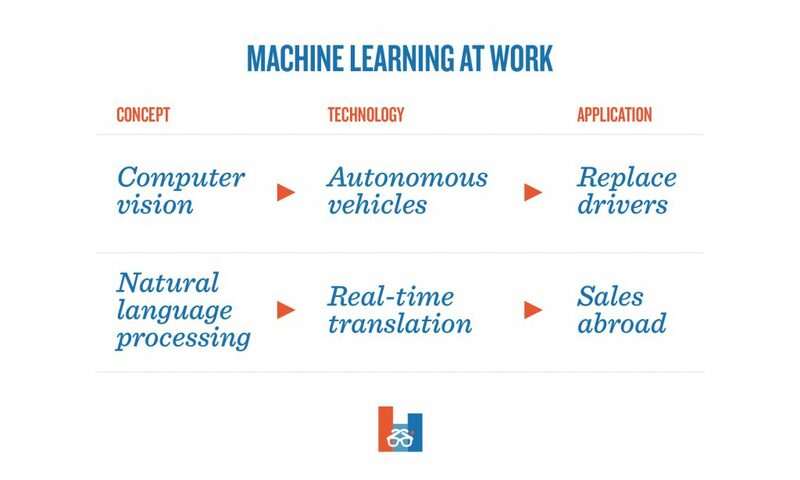 Futurism.com offers a straightforward overview of this infographic, which includes the history, approaches, and applications of machine learning. This video is the first in a series from Google, and it begins by explaining how machine learning makes data meaningful. Entrepreneur Magazine details how machine learning already works in education, law, transportation, healthcare, and our homes. This thorough explanation from Crash Course is part of a series that includes helpful videos on computer vision and natural language processing.